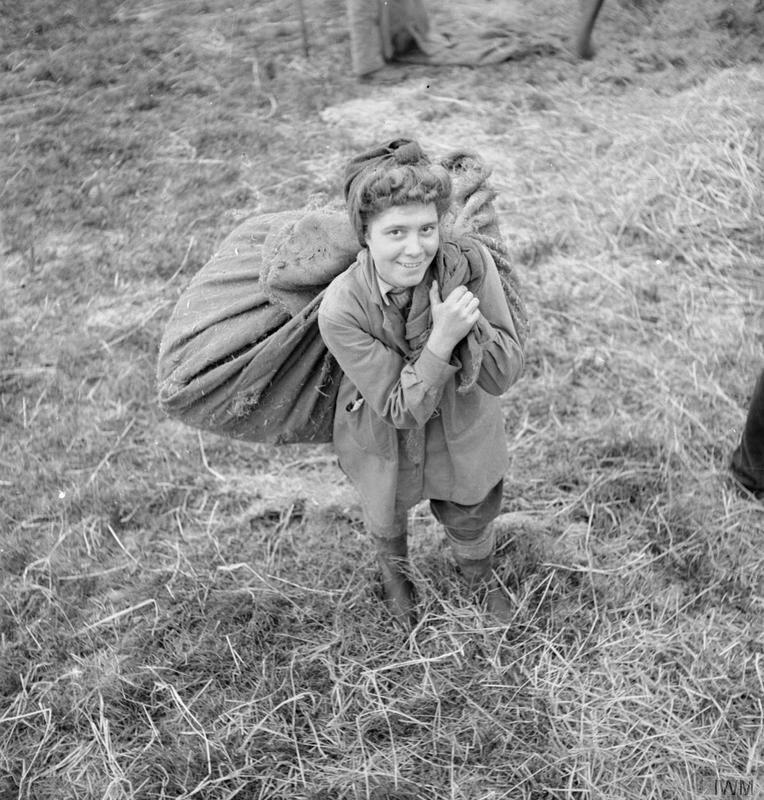 Land Girl Dorothy Sills (aged 19) from Middlesborough helps with the harvest on a farm in Yorkshire. She was a shop assistant before joining the Women’s Land Army. She is shown helping with the threshing, by carrying a large sack of wheat on her shoulders. 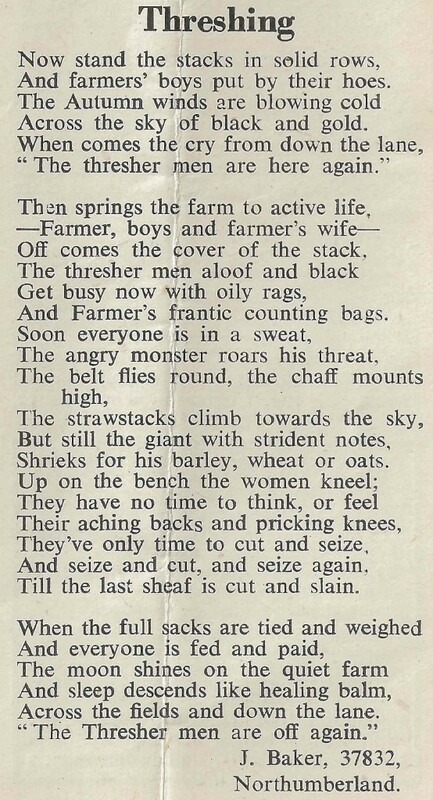 The harvest, in late August and September, was the main event of the year (the significance of this in the farming calendar is still reflected in the school summer holidays in some parts of the UK today.) This was a time where Land Girls were used greatly, along with other members of the local community. One of the dirtiest jobs which Snelling recounts was removing the sacks of colder as they filled from the threshing machine. With this, dirt got everywhere, including her eyes, which she remarks was particularly painful. Due to the presence of rats and mice, the girls were advised to tie string around their legs in order to prevent them running up trousers. 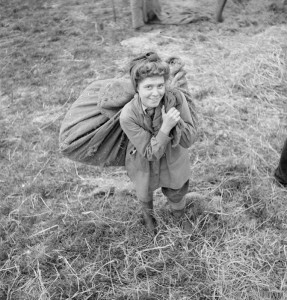 This was something which no doubt many Land Girls would have learnt the uncomfortable way and was just one example of how they were adapting to life on the land.